We began focusing on the greater Siletz basin in 2017 and intend to continue our efforts for the foreseeable. We chose to direct our efforts in the Siletz basin because several of the water bodies in the basin are listed as impaired by DEQ, we want to address community interest in improving water quality, we recognized the potential of partnership development, there are numerous ESA and Oregon Conservation Strategy species that rely on the watershed, and to align our efforts with several other conservation organization. 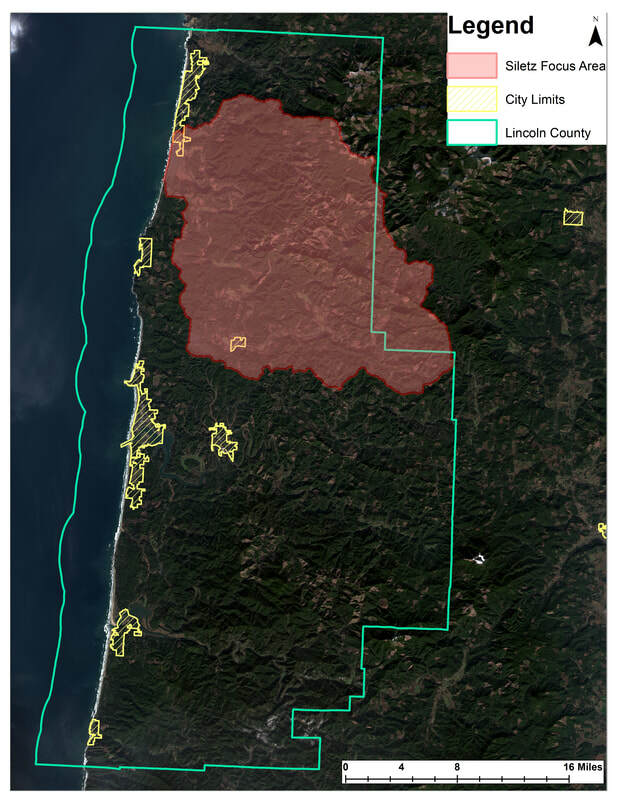 Currently, the Natural Resource Conservation Service (NRCS), Oregon Department of Environmental Quality (DEQ), Oregon Department of Fish and Wildlife (ODFW), and Mid-Coast Watershed Council (MCWC) are pursuing conservation efforts in the Siletz basin. ​​What is a Focus Area?